="Craighead,Cumberland Valley Railroad,Reading Railway, Pine Grove Furnace, Mt. Holly Springs, South Mountain Railroad, Gettysburg & Harrisburg Railroad"
Craighead Station. 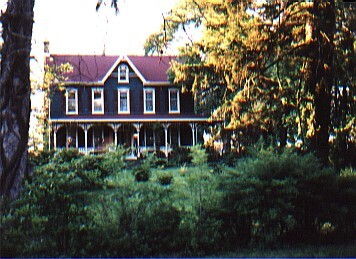 From Atlas of Cumberland County F.W. Beers, 1872. The station was named after a family named Craighead, several who were residents of this area. From the 1872 map, this appears to be R.R Craighead residence. The South Mountain right of way was to the right in the photo. 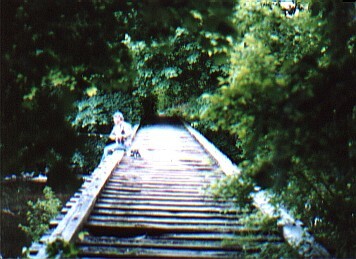 On the other side of the tracks was a feed mill facility that operated late into the railroad's existence, according to the fellow fishing on the bridge in the photo below. This appears to be the S.M. 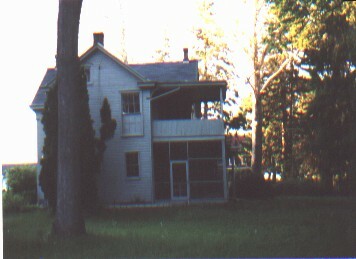 Craighead residence. It is presently being painted. Substantial steel girder bridge across the Yellow Breeches. The bridge is about twice as long as it looks in this photo. 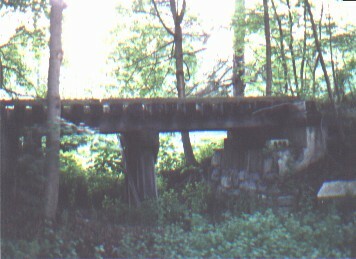 This bridge crosses what looks to be a dry mill race on the south side of the Yellow Breeches.